Today's WEGO prompt: Health Activist Choice Day 2! Write about whatever you like. 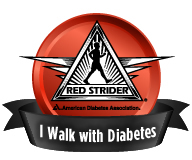 For the past few years I have raised money as part of the American Diabetes Association Step Out: Walk to Stop Diabetes. I have only been able to make it to one event, a small nearby walk that no longer exists. The rest of the walks I have registered for have been too far for me to travel due to family obligations. This is the case again this year. All of the walks in my state are a few hours away and conflict with obligations that are already on my schedule this far in advance. However, I still signed up to walk. Why? I walk because I have hope. I walk because I have faith. I walk to find a cure for diabetes. 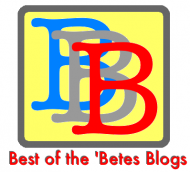 Not just Type 2 diabetes, but all types: Type 1, gestational, medically induced, etc. No one should live a life with diabetes. No one deserves it! Please help us find a cure for diabetes! You could either sponsor me, join my team, or start your own team. My goal is to have ten people on my team, raise $2,500 as a team, $1,000 of which I hope to raise myself. I know this will be a challenge as a virtual team leader, but life is full of challenges. Remember, you can (join the) walk even if you can't (go to the) walk. Feel free to join my team if you'd like, Kate! I'd love to have you! -Sue.